Credit cards can offer several benefits compared to other forms of payment. Many of us use them as our preferred payment method, and for good reason. If you can properly use a credit card and understand NOT TO overspend or rack up interest charges by failing to pay off your balance, then a credit card is an excellent option. Below we will discuss the top benefits of using a credit card. One major drawback of using a debit card over a credit card is the fact that some debit cards have a 24-hour charging limit, which could delay you from making larger purchases on the spot. Credit cards on the other hand, provide you with more spending power since you do not have to have the up-front funds to make large purchases. Credit cards can also provide you with peace in the face of an emergency. According to CNBC, an astonishing 57 million Americans have no emergency savings. 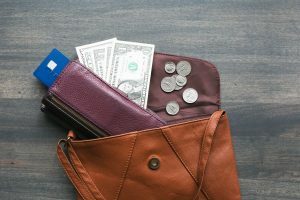 If you do not have an emergency savings account, paying for an unexpected emergency room stay or major car repair out of pocket may be a significant financial strain. A credit card, on the other hand, can make paying for an unexpected expense much more manageable and less stressful since you can payback your balance over-time. Just make sure your credit card does not come with a high interest rate! Also, be mindful of how much you are spending. It can be easy to swipe your credit card while on a shopping spree, but if you fail to make your credit card payments on time, your credit score could be negatively impacted. If you can prove you are financially responsible and know how to use your credit card properly, you can build up your credit score and credit history. Both are vital whether you are looking to apply for a mortgage, auto loan, or any other type of financing in the future. The higher your score, the lower your interest rate. This equals more savings! With new innovative technology scammers use to steal your identity, now has never been a better time to have increased security options. The Launch FCU credit card, comes equipped with EMV chip technology to better protect your purchases. Using a credit card over a debit card can provide you peace of mind knowing that if your card becomes compromised, the scammer can’t empty out your bank account. Often overlooked, credit cards offer vast convenience options over other forms of payment. No more worrying about getting dirty looks at a cash register from those waiting behind you while you quickly write your check or count your change. Additionally, you can make quick and easy transactions online. As mentioned earlier, several credit cards come with extra layers of security and fraud protection. As a precaution, always make sure the website you are making payments on are trusted, thus, decreasing your chances of security breaches. Often, when we travel to other countries one of the steps we must take is exchanging our currency. Several credit cards are accepted overseas, which makes purchases much more convenient. However, you must be aware of exchange rates and minor currency conversion fees that may apply. Many of us are using less and less cash to make purchases. If you are like others, you may be transitioning away from using cash as well. While having cash on hand to pay for unexpected items is never a bad thing, having too much on you can be. You run the risk of losing your cash, or having it stolen. Unlike cash, credit cards can be cancelled right away or even payments reversed for fraudulent activity. Cash you can’t get back unless you happen to stumble upon it which is very unlikely.